We provide high-end tailor made tours for schools and educational organizations. 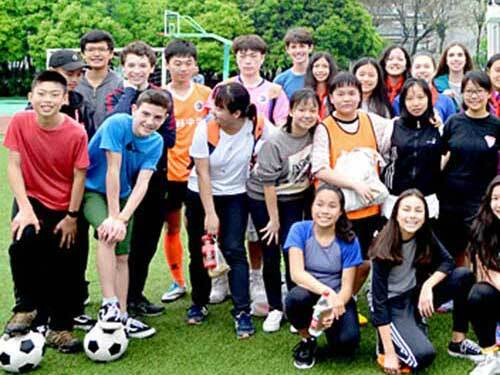 We have successfully operated tours for more than 50 schools from different countries, including United States, Australia, New Zealand, Malaysia, Thailand, Philippines, and Canada. We work with locals to provide meaningful and in-depth connection to Chinese culture. This empowers participants to make a positive social impact. The guides in each city were very good, helpful, friendly and very supportive. What impressed me the most is they were able to give just the right amount of information for our group. When we first did these trips the guides tried to give too much information and the children lost interest. This time all the guides kept it short and relevant. A particular mention to Windy in Xi'an, she was excellent. Having a WeChat account meant that I shared contacts with each guide and they were able to assist at all times. China is vast, full of culture and history. Chinese language is the most-spoken language in the world. It's getting more popular as China is playing a more important role world-wide. Our Educational Tours allow you to be totally immersed in Chinese culture and interaction with the local people. The unique aspects present a different but a very real China to you from what you will never read about in a book. Whatever you want your students to experience, we are here to help! Click to create your unique trip! Any travel ideas? Let's create a perfect China trip for your students.